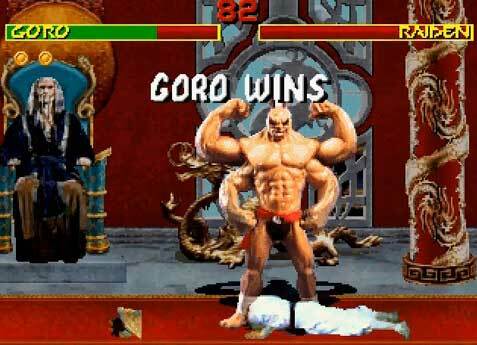 “A 1992 year old half-human dragon, Goro remains undefeated for the past 500 years. 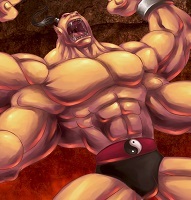 He won the title of Grand Champion by defeating Kung Lao, a Shaolin fighting monk. 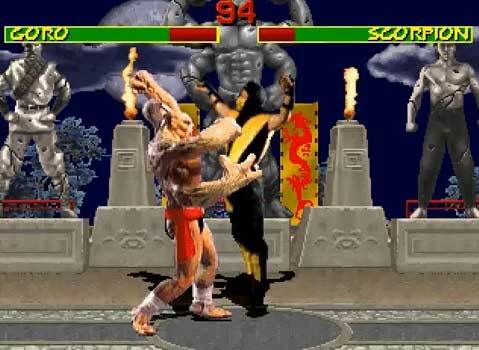 It was during this period that the tournament fell into Shang Tsung’s hands and was corrupted. 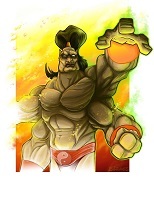 Goro possesses both massive strength and great agility. 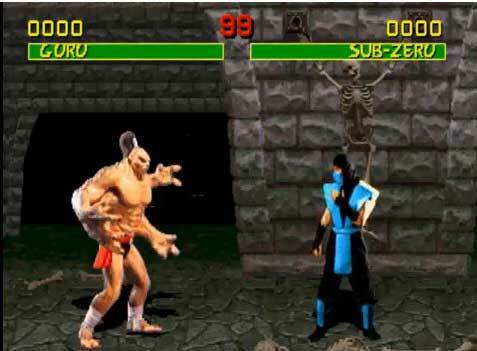 Goro is the mid-boss of Mortal Kombat and returned in 4 of the later games with him being a mid-boss again in Mortal Kombat IV and Mortal Kombat 9 which retells the events from MK1-3. 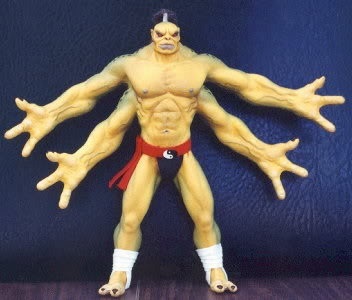 In Mortal Kombat, Goro was actually created with a 12″ Goro clay model, sculpted by Curt Chiarelli. 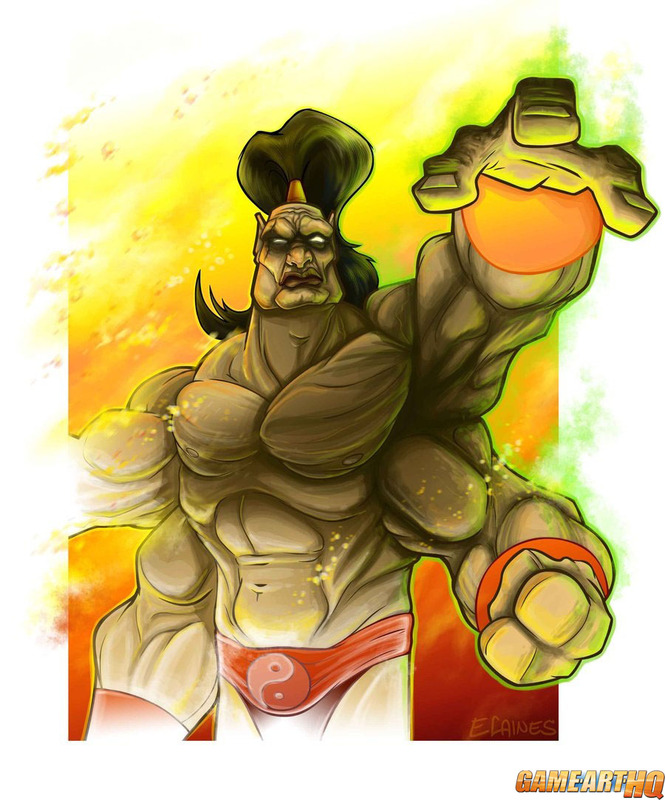 Goro from Mortal Kombat I was drawn by Erik Caines from Los Angeles for our Mortal Kombat Art Tribute back in October 2011 and was one of the first submissions actually. 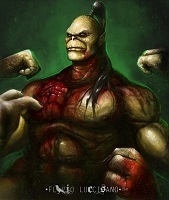 Visit also Goro’s Game Art HQ Main Profile with more infos, official art as well as featured fan art and more.